Southern view of Curlew Lake. Wiseman Island is in the center distance. 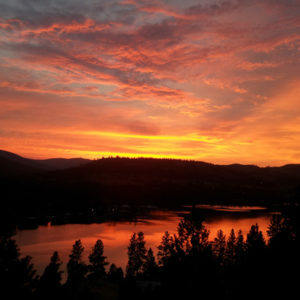 Off the beaten path in Ferry County, WA, Curlew Lake draws families who return each year for reunions and to introduce their children to the joys of their own childhood vacations. While it is hard to find two articles about the lake that agree on its length, we’re going to go out on a limb and state that the part of the lake that is accessible for fishing and kayaking is about 5.5 miles long. Shallower waters at the south and north ends of the lake reduce the area available for water sports to something closer to 4.5 miles. The Department of Ecology reports that the maximum depth of the lake is 130 feet, but the mean average is 43 feet. This matters if you want to know how many colors of leaded line to drop (and where), but not so much if you’re kayaking around the lake’s shoreline. 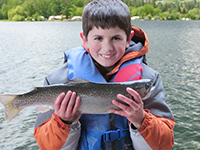 Curlew Lake has some of the best trout, bass, and tiger muskie fishing in Washington State. The lake includes four small islands. Bass and perch are attracted to the islands’ shallow-water grasses and submerged logs, and the voracious tiger muskies are, in turn, attracted to the bass and perch. Learn more about our lake fish, and check out our fishing map which shows you where to drop a hook or troll fish. Enjoy clear skies, warm days, and sparkling water at Curlew Lake. Choose to stay in a snug, charming cabin at Tiffany’s Resort, Fisherman’s Cove, or Black Beach Resort; or, camp in your tent or RV at one of the resorts or at Curlew Lake State Park. All provide boat ramps, boating and fishing docks, swimming beaches, and mini markets. Fisherman’s Cove even has the Snack Shack, their on-site restaurant. 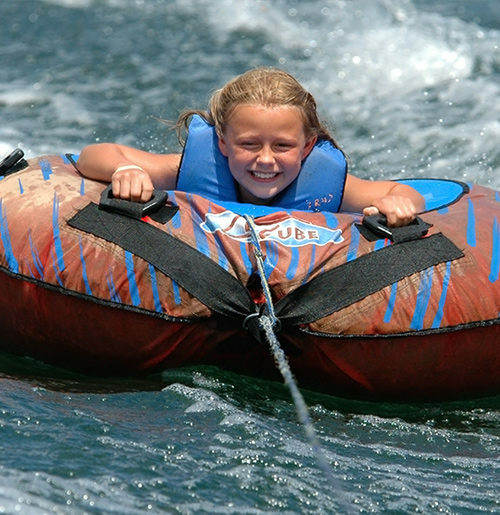 Curlew Lake has something for everyone from great fishing spring through fall, and summer water sports enjoyed by children and adults. Want more? Hunt for fossils at nearby Stonerose’s fossil site. 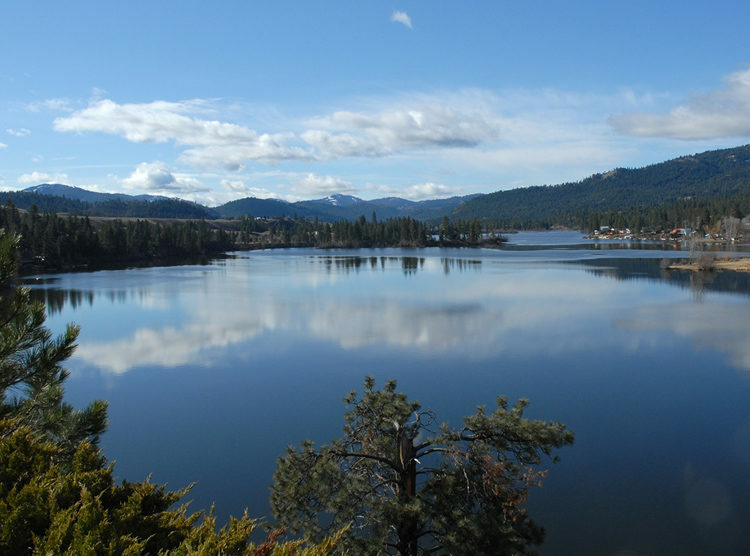 Bike, walk, or jog the Ferry County Rail Trail. Grab your camera and go for a scenic drive. Explore the frontier town of Republic, WA. Go horseback riding and visit a ranch petting zoo. You’ll enjoy it all! 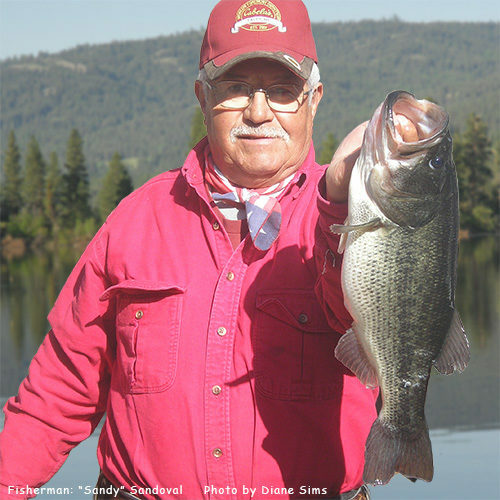 You’ll work up an appetite spending the day fishing or enjoying water sports at Curlew Lake. When you’re ready for a great breakfast, lunch, dinner, or the supplies to create your own tasty meal, there are a variety of appetite-satisfying restaurants, coffee shops, and grocery stores in nearby Republic, WA and Curlew, WA.